In response to a public outcry, Blue Man Group and YouTube sensations The Slow Mo Guys have finally joined forces—they went bowling! 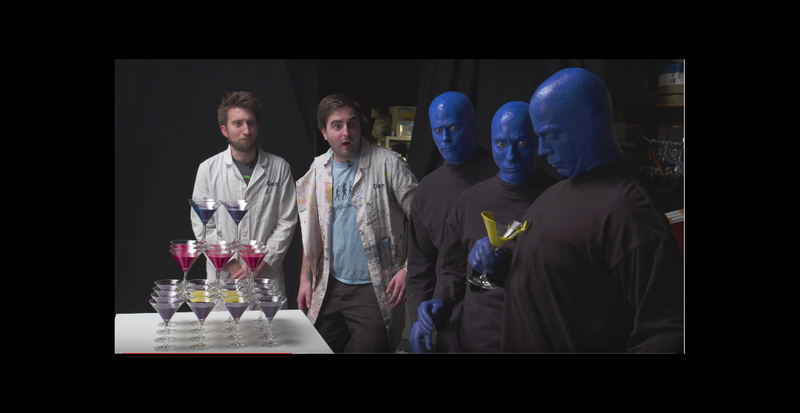 In their new video, The Slow Mo Guys teamed up with the bald and blue trio for a day of experiments in their New York City lab. Together, they explored the beautiful destruction that ensues when a 16-pound bowling ball drops from the ceiling, or launches from a 15-foot custom-built speed ramp. The fate of jello molds, colorful candy jars, paint-filled martini glasses and more can be viewed at 10,000 frames per second in stunning 4K resolution. Watch the video below!